Metaflex Drive Shafts are ideally suited for connecting machines which are far apart. 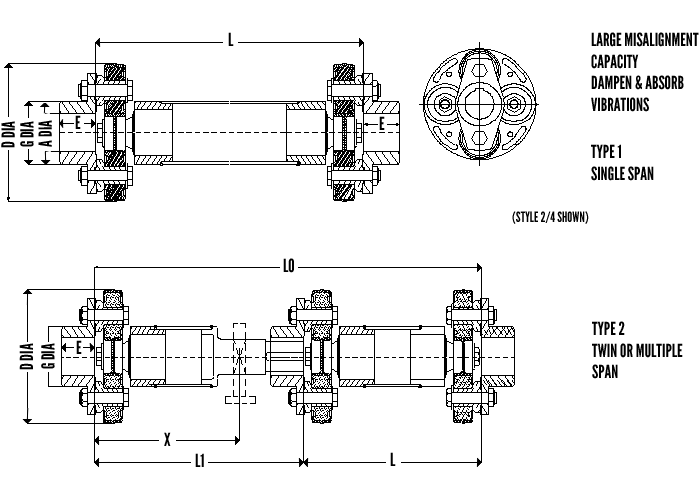 Distances upto 4000 mm in single span and upto 20000 mm in multiple spans have been covered by our Drive Shaft couplings. Notes - Mass and inertia igures are excluding tube. Maximum length and tube diameter depend on load and operating speeds.Shafts are available in mild steel or Stainless steel construction . MS shafts are Hot dip galvanised on request.